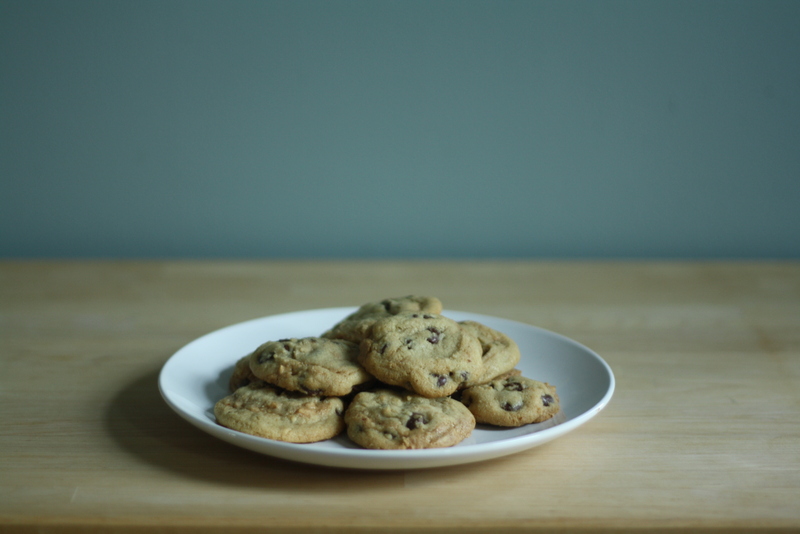 Question: What is the weirdest thing to inspire a batch of cookies? Wow, pretty wild. Let me explain. I met a friend for dinner in Chinatown a few weeks ago and we ended up at Joe’s Shanghai – a place famous for soup dumplings. They are exactly what they sound like, and to make them, the broth is frozen into an ice cube (hungry yet? Nothing hits the spot better than a broth ice cube!) but when the dumpling is cooked, the frozen center melts to become a yum-sauce soup on the inside and a delicious dumpling on the outside. 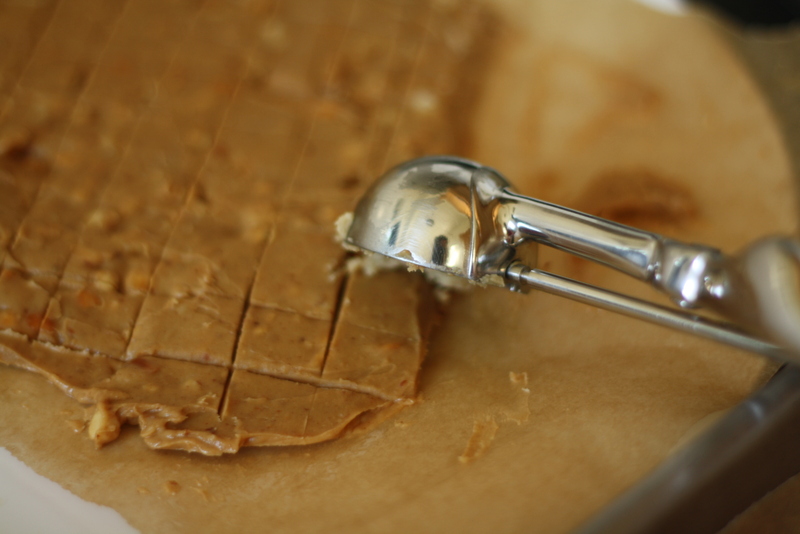 Line a baking sheet with parchment paper, and thinly spread the peanut butter so that it is about 1/4 inch thick. Freeze for at least several hours, or overnight. When you are ready to make the cookies, preheat the oven to 375 and line a baking sheet with parchment. Mix the flour, baking soda and salt in a medium bowl. In another bowl, cream the butter and sugars together until light and fluffy. Add the egg and vanilla and beat until well blended. 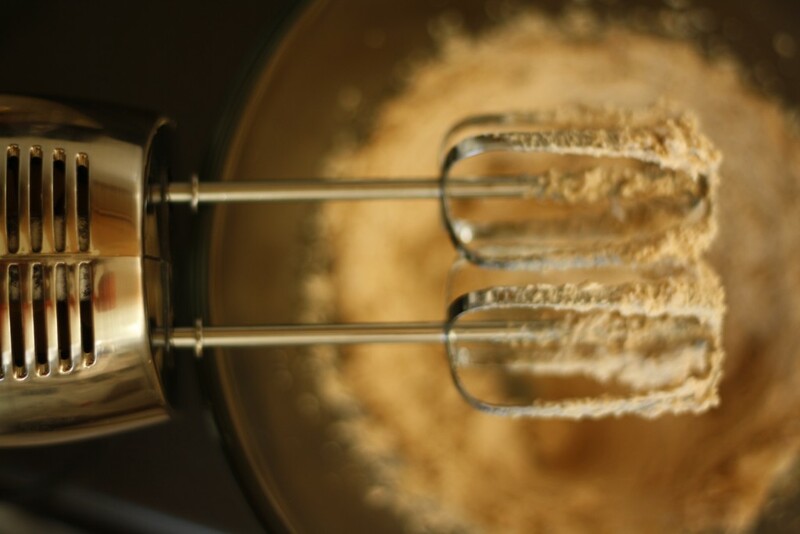 Gradually add the flour mixture and stir until fully mixed. 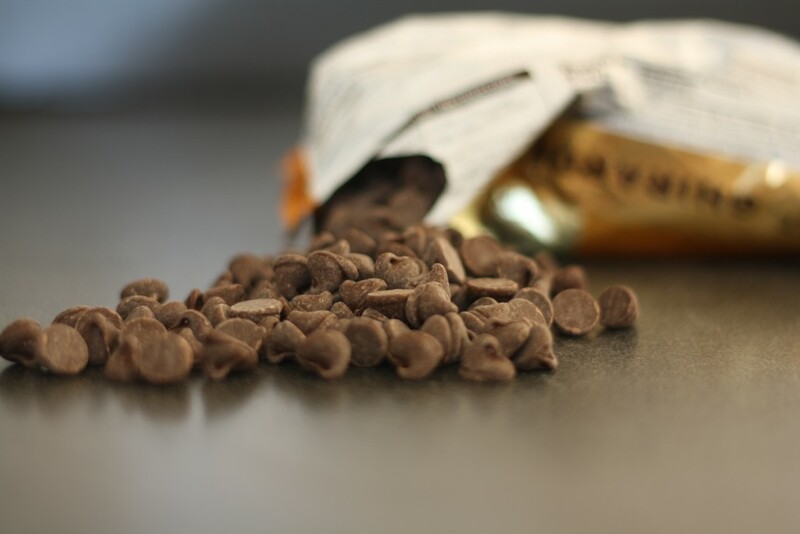 Add in the chocolate chips. 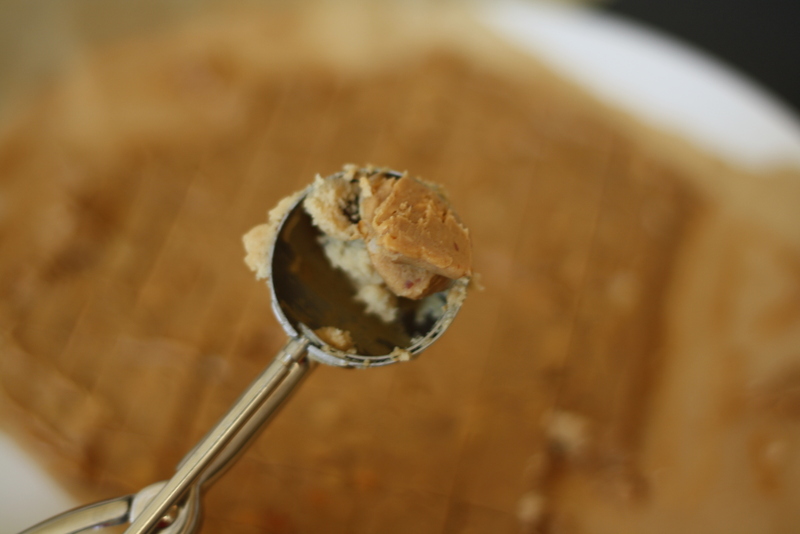 Remove the peanut butter from the freezer and cut into 1/2-inch pieces. Work quickly, because the peanut butter will come to room tempature fast! Fill a scoop about halfway with dough, then scoop a square of frozen peanut butter, then fill the rest of the scoop with cookie dough. Release onto the prepared sheet, and continue until the sheet is filled. Bake for about 12 minutes, or until the edges are just light brown. 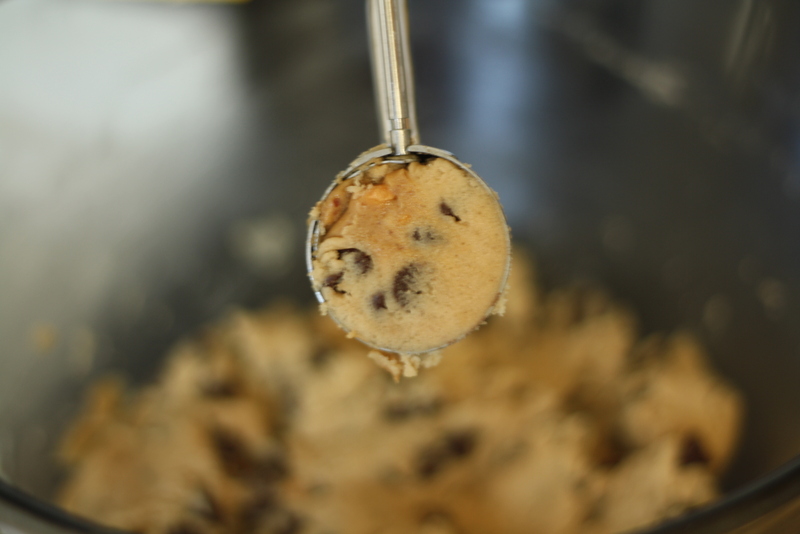 Note on cookie baking: I usually bake one batch of cookies, then scoop out the rest of the cookie dough on another baking sheet (like in the pre-baked photo above). I freeze the dough balls until they are hard, then after they are frozen, transfer them to a plastic bag for storage. I keep on average six bags of cookies in my freezer (just kidding! 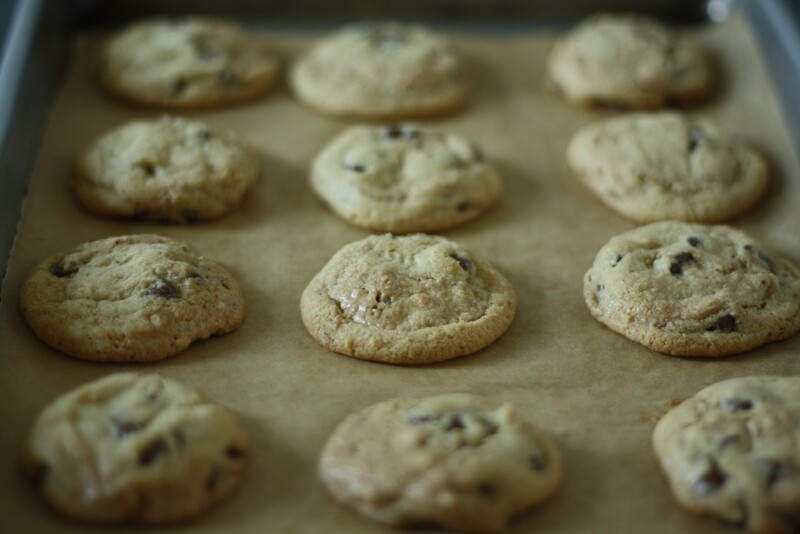 six is ridiculous – it is more like three) because you never know when you need a warm cookie straight out of the oven. I just stumbled across your blog this morning and I have already saved about 10 recipes I’d like to try. I was just wondering how you got through 2 batches of cookies in just a few days, thanks for the tip on freezing them. 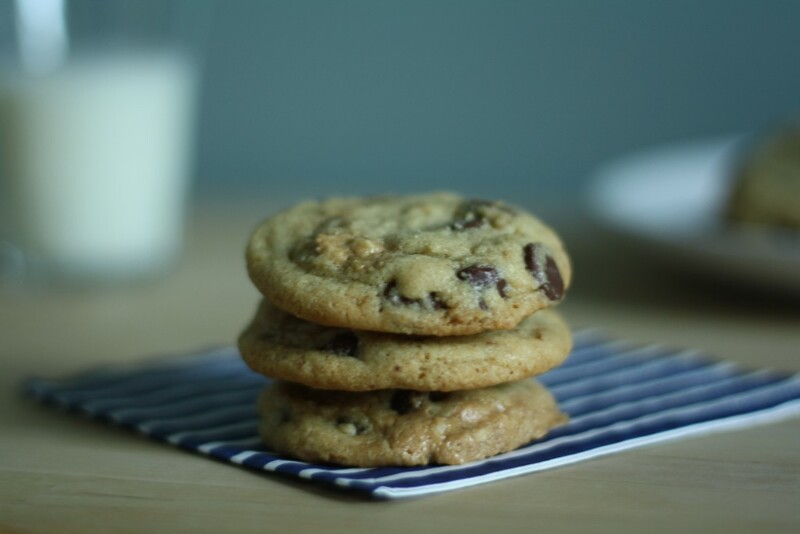 I don’t know why this never occurred to me – I am always looking to give away all the extras of whatever I have most recently baked, because even with a family of 5 we just can’t eat that much. 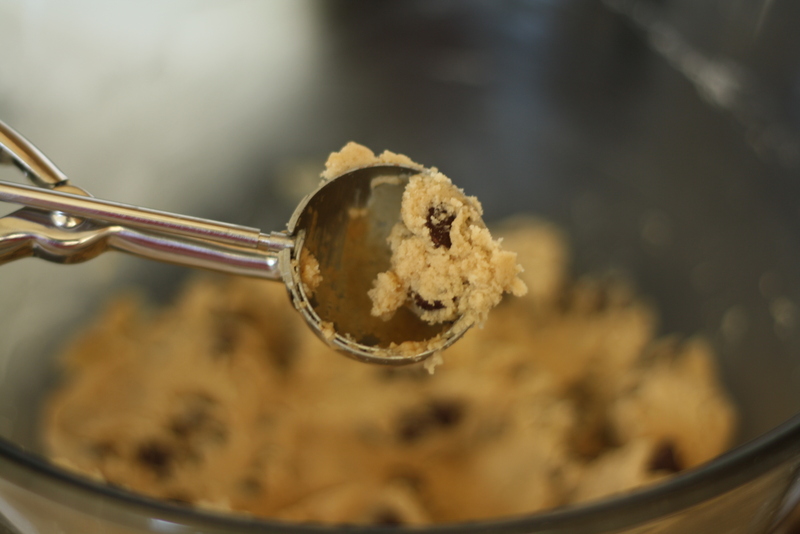 What a great idea, I’d love to have premade cookie dough on hand for school events and the like. Now I just need to find space for cookies in one of my freezers, they are packed so full of local organic fruits, veggies, and grassfed meats. Thank you! And thanks for the great recipes! I’m so happy you found me! 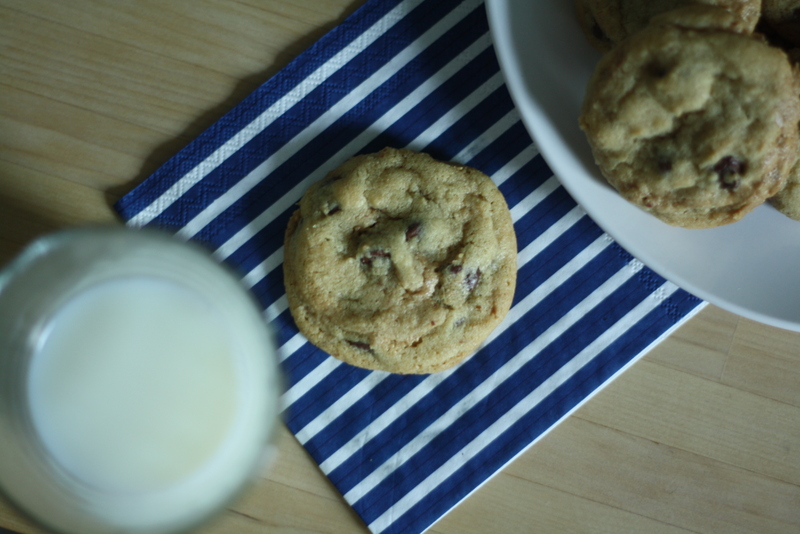 Even though your freezer may not appreciate it – there will be more cookie recipes for you to try coming soon! Wait, do you freeze the actual cookies or the cookie dough? - love your blog btw, I tried the pumpkin snickerdoodles and they were AMAZING! 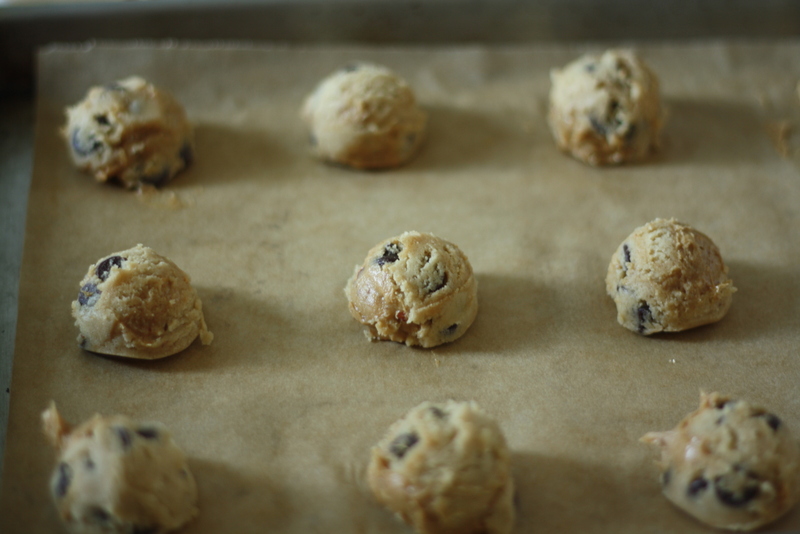 Freeze the cookies dough balls – since they are already shaped, you can just pop them on a cookie sheet and bake. There is no need to defrost and I just add a few more minutes to the baking time. Warm cookies ANYTIME! I’m also happy to hear that you made the pumpkin snickerdoodles! these would be perfect with a little beer caramel tucked inside, no? Perhaps for BAKINGMAKESFRIENDS. I think so!